I just survived my 6th 100 mile race. 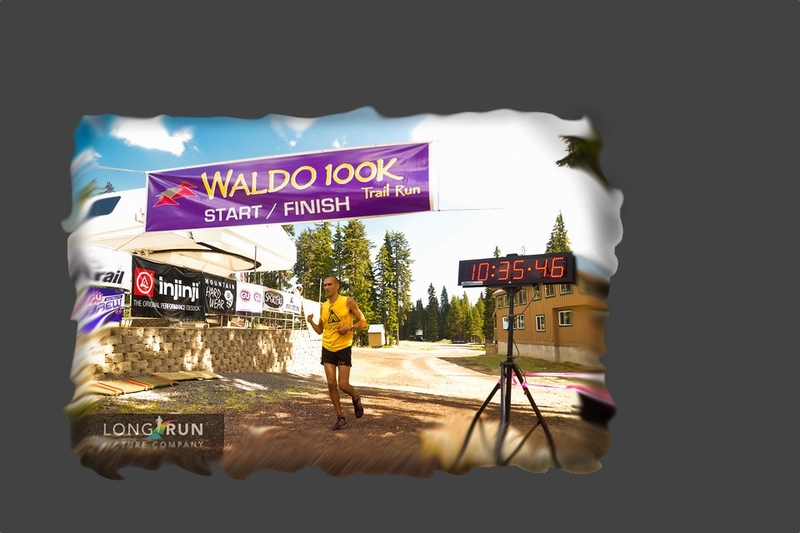 On Sunday, at about 9am, I crossed the finish line of the Leadville Trail 100. At the finish line, a large crowd of strangers cheered with great passion. The announcer welcomed me with my name. My friends opened their arms to hug and share their support. The previous 12-14 hours had not been so wonderful. 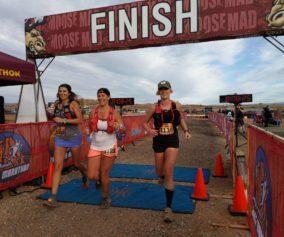 When you truly suffer in a challenging endurance event, the finish line is unlike any other experience in life. This is one of the magical things that brings me back to ultras over and over again. I had ambitious goals going into the event, like an overal PR for the 100 mile distance. I trained very well and also enjoyed the benefits of a Hypoxico altitude tent. Fitness, nor altitude slowed me one bit. In fact, with regard to my physical training…I was 100% ready. Of course, ultras are not merely a measurement of fitness alone. This inevitable fact caught up to me around the 50 mile point. Over the final 50 miles, I suffered like so many other athletes in these events. I enjoyed brief feelings of happiness and endless hours of discomfort. 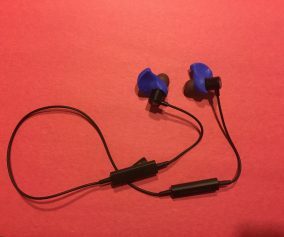 I came away with several things, which I feel may benefit others out there. In short, I have been suffering in the 100 mile distance for about the past year. My problems have been severe nausea and indigestion. More or less, a sick stomach has grown into a fury and crawled up my chest until I feel like a vomit zombie. 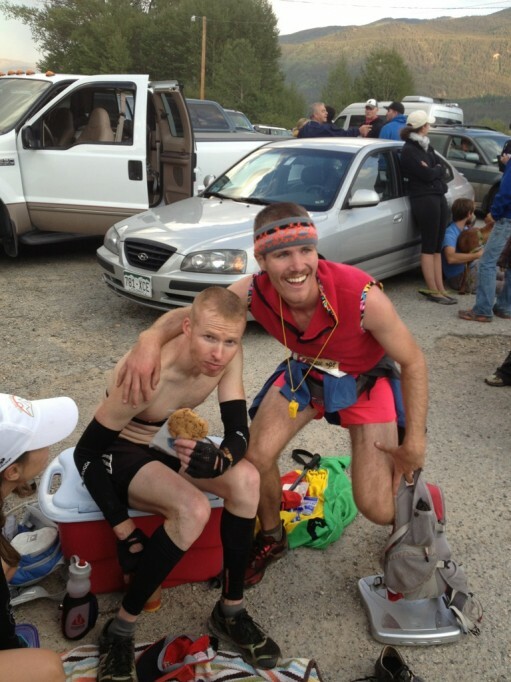 This came about last year in the Boulder 100 and then at the San Diego 100. Things were so bad at the SD100 that I abandoned my race at mile 82, despite holding a place in the top 10. 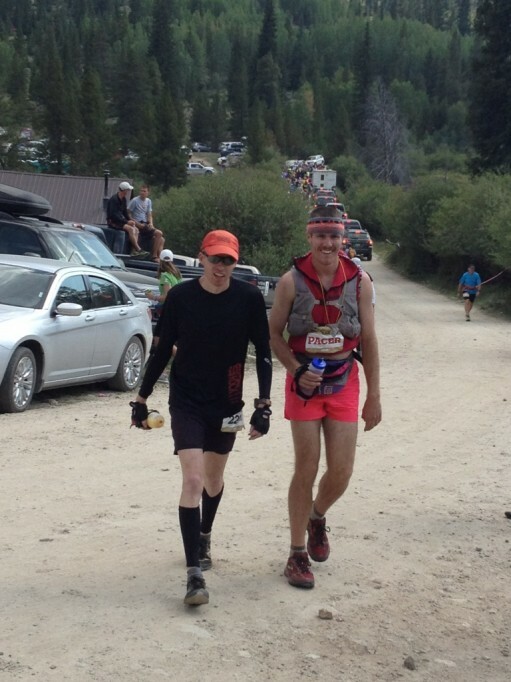 At mile 50 of the Leadville 100, the familiar feeling of sickness came to visit me again. I stumbled in to the Winfield aid station and collapsed into a chair. My crew quickly began to assess my situation. They helped me slowly come up with a plan, which included a good 20 minute break in the shade with more hydration. I consented to their plan and tried to keep positive. They massaged my back and encouraged me. They also gave me verbal encouragement and told me I looked better than other runners in the area. I made my way out of Winfield with my pacer, Mark. We started the new trail section back to the south base of Hope Pass. I was much slower than the opposite side. I was in a good mood, though. The trail seemed so much more vertical this time. I grabbed a solid piece of wood from the side of the trail and used it like a walking stick. I pushed and grunted upward. I tried not to rest on the 2nd climb to Hope Pass. I did, however, sit down when my stomach started to make me sick again. Mark and I summited the pass again and headed down to Hopeless Aid Station near the treeline. The llamas stood relaxed all around, providing that surreal experience of being in some crazy dream. The volunteers were awesome and assessed my condition. They helped me with some coke and vegetable broth. Mark and I started down the trail toward Twin Lakes. Mark started singing loudly on the descent. This humor and energy was what made me select him as a pacer. He “is” the party wherever he goes and I know that keeps me positive when we’re running together. Within a few minutes, he had me singing with him. We were yelling our duets of various Beatles and Michael Jackson tunes. And, of course, we sang out our hit “California Dreamin'” several times. It was in one of those moments, while descending Hope Pass in a state of happiness, that I forgot how sick I had been at Winfield. 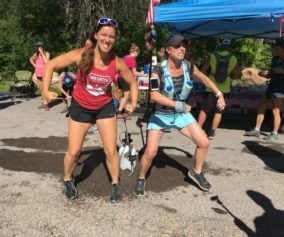 Oh, the joys of ultrarunning! At Twin Lakes inbound, I picked up Lara Robinson as a pacer. She was pumped and dropping me on the first climb. I tried to convince her I was moving as fast as possible and she didn’t believe me at first. My stomach started getting bad again and I told her about what I was experiencing. Lara thought I may be experiencing a severe “acid stomach” and offered me food. I refused, of course. She tried several more times, and eventually got me to chew on a saltine cracker. I wasn’t able to associate that single cracker with the ability to run a couple miles at first. But, her suggestion and my consumption of that little cracker was the key concept that I’d been missing for the last year. That being, 100% consumption of liquid calories was not working for my stomach. It seems that I need just a bit of solid food to, at least, settle my stomach in the last 50 miles. 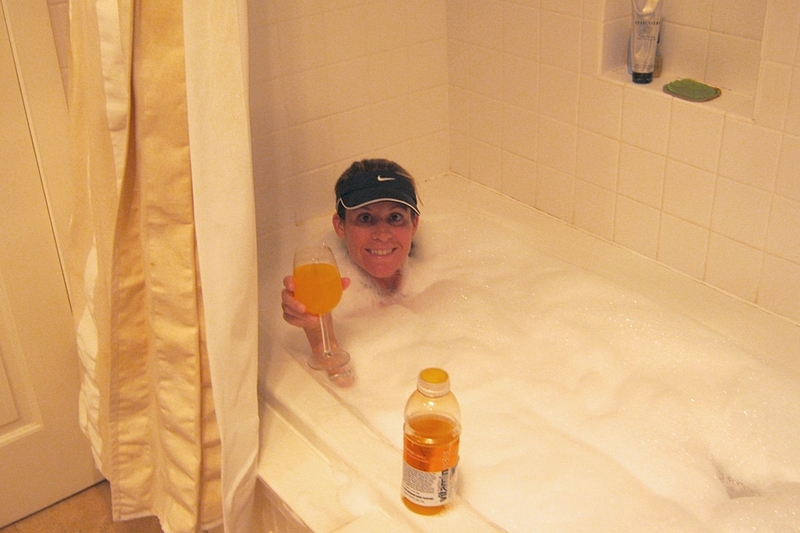 Everything I had consumed at Leadville prior to 60 miles was liquid. Over the next 12 hours, It became quite obvious to me that the solid food was calming my stomach. When the sickness would come, I would force myself to chew on something like crackers, bread, or chips. Then, I was able to jog and hike well for a few minutes. This mitigation became quite painfully obvious in my final 23 miles with Mark again. I had to lay on the trail every few miles when my stomach started again. Then, on my back, I’d chew on a cracker or bread, wait about 3 minutes and then rise to my feet again to continue. My pacers were awesome. They were patient and assisted me whether I was moving well or passed out with the nausea. Of course, all this added up to a much longer race for me than predicted. 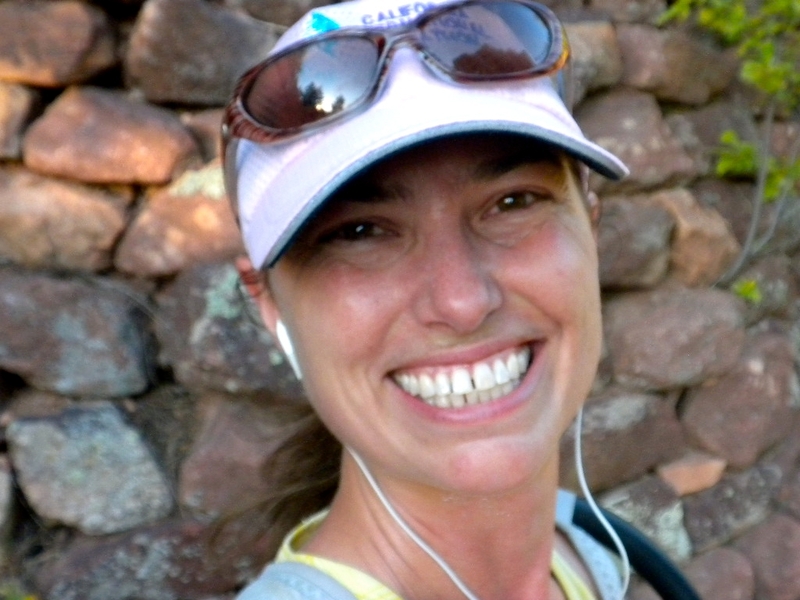 This time, though, I refused to quit…it wasn’t because I needed to prove to myself that I could run 100 miles. This finish was for my support crew…a small group of friends who selflessly dedicated their weekend to be there for me in this race. I came away with something else this time too…and I’d like to share it with you. The “expectations” are dreamed up by each of us before the race. We dream up finish times and train for “success”. In this, we lose the perspective that “success” may be defined in an entirely different way. Truly, the opportunity and physical ability to cover 100 miles on foot is something to celebrate. 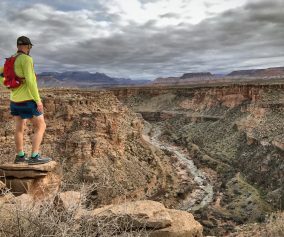 If we all step back and avoid comparing ourselves to each other, we will see that we ultrarunners are very rare birds. 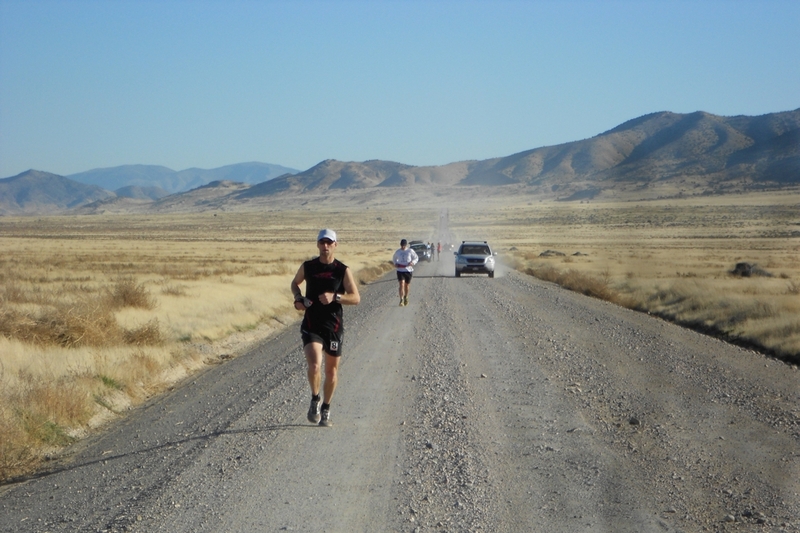 Society as a whole does not relate to this world of ultra-endurance. We are very special athletes…all of us. No, I’m not dissapointed that I didn’t meet my personal goals for a specific finish time. I had 12 hours to meditate on the fact that simply ‘finishing’ the race is something I could be proud of. Regardless of how long it takes to finish these events, the fact that you cross the finish line is an incredible accomplishment. Next time you’re in a race that isn’t going well, I hope you choose to push through the pain, nausea, and heart ache. Friends, these races aren’t meant to be easy. And, if you suffer…really suffer, and still finish the race…then you will truly experience your “success”. 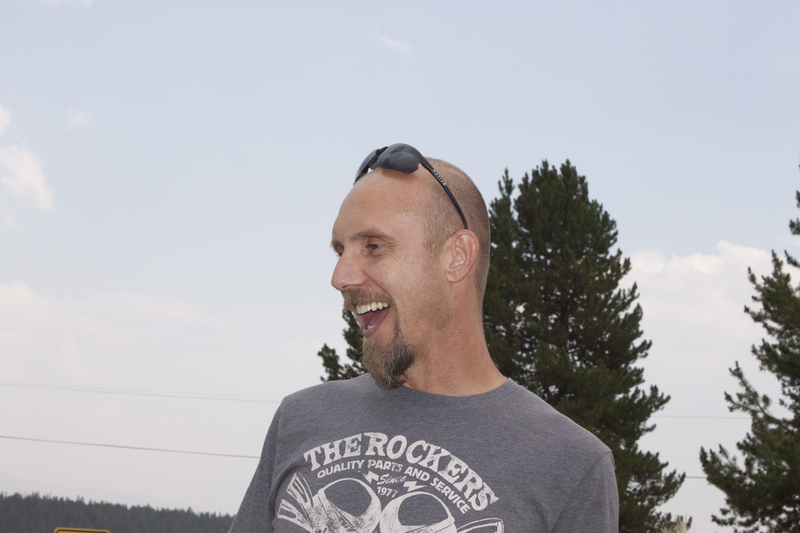 Jerry – Regardless of your finish, it is so much fun (as a Flatlander) following your training! You are truly blessed to have the opportunity to live and train in the moooontains, and it’s nice to see you appreciate it. I hope you are able to dial in your fancy tummy…. Might I suggest Wheat Thins? Give ’em a try. They have some really yummy flavors, now, are really good at soaking up liquid belly feeling, and you will lose hours of time zoning out saying “Wwwwwheat thins” like Stewie (from Family Guy) on the Wheat Thins commercial…. Keep up the good work buddy! Nice work sticking with it. Good point about expectations and perspective.